We begin Advent with this assurance from God Himself -- Jesus accomplished exactly and totally what He came to do. We know this from the first chapter of the New Testament. When Joseph learns his betrothed, Mary, is pregnant, he decides to give her a bill of divorce privately, but an angel intercedes. The angel tells him in a dream, “Joseph, son of David, do not be afraid to take Mary as your wife; for the Child who has been conceived in her is of the Holy Spirit. She will bear a Son; and you shall call His name Jesus, for He will save His people from their sins” (Matt. 1:20b-21). The meaning of His name -- "Jehovah saves" -- explained a purpose in His coming. He would "save His people from their sins." Who are "His people?" All those whom His Father has given Him. Jesus Himself testifies to this fact. He told a crowd, "All that the Father gives Me will come to Me, and the one who comes to Me I will certainly not cast out. . . . This is the will of Him who sent Me, that of all that He has given Me I lose nothing, but raise it up on the last day" (John 6:37, 39). He prayed to His Father, “Father, the hour has come; glorify Your Son, that the Son may glorify You, even as You gave Him authority over all flesh, that to all whom You have given Him, He may give eternal life. . . . I glorified You on the earth, having accomplished the work which You have given Me to do" (John 17:1b-2, 4). Jesus accomplished what He was sent to do -- "save His people from their sins." His thoroughly accomplished work purchased a people for Himself, a people consisting of all those His Father gave Him. 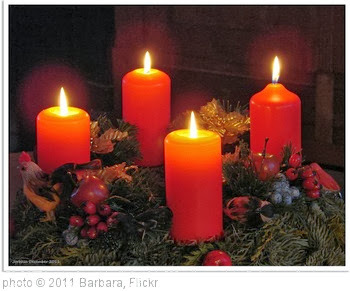 As those given by the Father to the Son and saved therefore by the Son, we can rejoice at Christmas. Jesus came to save us, and He accomplished exactly and totally what He came to do. Here is "Come to Save Us," a song by the group All Sons and Daughters that fits with this successful mission of Jesus. Brittany Maynard took her life last Saturday. She had announced her intention to do so long before she made suicide the final act of her earthly life. In the process, she became a public advocate for the "right to die" and physician-assisted suicide. Death is a great enemy for all of us. To know a 29-year-old woman is suffering gravely with terminal cancer is to recognize she and other human beings have experienced pain most of us cannot identify with or have not experienced yet. We should grieve for her, her widowed husband and her other family members. But should we -- as those who follow Christ and seek to live under the authority of God's Word -- affirm assisted suicide as an appropriate alternative for a human being or a wise policy option for a society? Here are four reasons I believe we should oppose the "right-to-die" or "death-with-dignity" movement. I write, of course, from an intentionally Christian perspective for Christians, but I believe these truths are important for a society as well. It is vital we, as God's people, think biblically about this critical issue. (1) The "right to die" -- manifested in assisted suicide and, in countries where it is legal, euthanasia -- violates the sanctity of human life. The biblical perspective is that each human being is made in the image of God and has intrinsic worth from conception until natural death. Interfering in that continuum at any point -- whether in another's life or your own -- is to contravene that sacred truth. Every human life is worthwhile, no matter its age or condition. (2) The "right to die" defies God's sovereign rule. The Creator is also the Sustainer and Controller. He has made each person in His image. As Creator, only He has the right to determine when a person's life ends. When a person seeks to kill himself, he seeks -- maybe unknowingly -- to wrest control from God; he seeks to throw off God's rule; he seeks to exercise his self-rule in the face of the one true Ruler. (3) The "right to die" undermines a society's responsibility to protect human life. We don't typically enact laws that give permission for an individual to kill someone, even himself. The unspoken, but inferred, message of the "right-to-die" movement is -- some lives are not worth living. In Western Civilization, we thought we buried that wicked ideology in the grave of Nazi Germany. It has been resuscitated, however, and is gaining acceptance in our day. (4) The "right to die" too easily becomes the requirement to die. This can happen as a society with an aging population becomes more accepting of assisted suicide. This can happen as a government facing declining resources struggles to meet health-care challenges, especially for the elderly and infirmed. 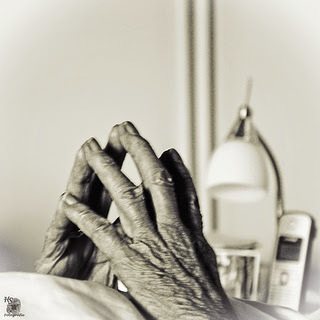 This can happen as family members recognize the cost to them of caring for the aged and terminally ill. As the "right to die" takes root and spreads its poisonous vines, the expectation grows that the terminally ill, disabled, infirm and elderly will recognize their responsibility to family and society and choose assisted suicide. Some European countries are ahead of us in this regard. Assisted suicide has given way there to euthanasia, even involuntary euthanasia -- even on disabled newborns. -- Oppose government efforts to legalize assisted suicide. -- Promote the kind of pain management by caring health-care professionals that alleviates suffering. -- Be the church, the caring community that presents biblical truth while serving people as they suffer.